Blair had stopped crying. There was no window, the walls were smooth and it was quiet. She didn’t want to be alone. But she didn’t want him to come back. When eleven-year-old Blair Smearton is abducted near a river bank on the hottest day of the year, no-one can trace the man spotted taking her. Detective Anna Gwynne is back at work with her cold case unit following a brutal attack that nearly cost her her life. She’s investigating the death of young Rosie Dawson, whose bones were found hidden in a hole in the ground ten years ago. At least avenging Rosie’s murder, focussing on her past, can help Anna ignore her own. The only lead Anna has is a photo of Rosie posted on a chat room hidden deep online. And then she finds one of Blair. Kidnapped. In the exact same dark room. The same concrete walls. The same stony floor. The killer is bragging. No-one can trace the photo. Blair’s time is running out. But Anna has a contact who knows the dark web better than anyone. He’s the key to finding those girls. Can Anna get his help to find Blair alive? 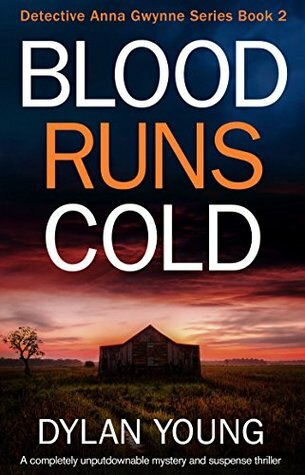 I had mixed emotions about book 1 but was super pleasantly surprised by the twists and turns at the end of the book, That is why I was looking forward to read more about the Anna Gwynne series. I have to say I was hooked this time. All the things I did not like so much last time, were gone! No more boring bits, but it was utterly captivating. I could not put the book down. The writing style improved as well and I liked the fact that I learned something from the story. This books adds a feather in the author’s cap. I would recommand it to everybody but don’t forget to put part 1 in your basket as well! You won’t regret it! 5 stars. Thank you Netgalley and Bookouture.